If you want your chicken as crispy as the pieces at the Hemlock Inn, fry it in a cast-iron skillet. Mix ingredients together, and put in paper bag. Shake damp chicken in bag. Use breasts, legs, or thighs. Place chicken in cast-iron skillet with ¼ inch of vegetable oil. Cook on medium heat for 1 hour. Serve with chicken gravy. 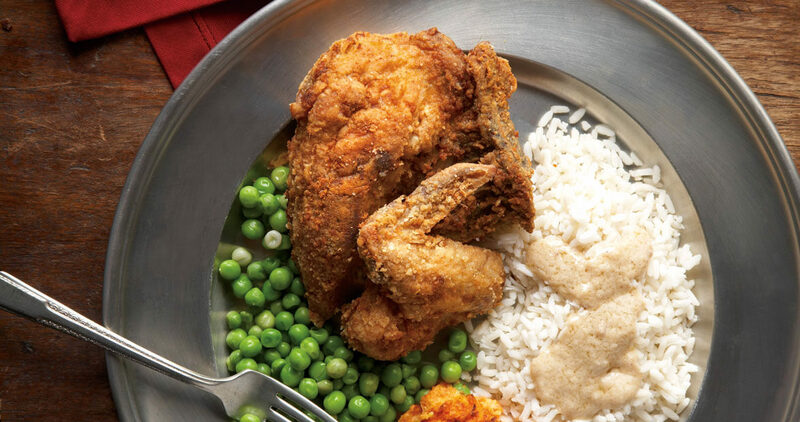 Leave ¼ cup hot grease in skillet after frying chicken. Add flour, and stir constantly over medium heat until base begins to brown, about 5 minutes. Slowly add milk, and stir with whisk until gravy thickens.